This delightful book features Uncle Handsome, a "redneck" poet, his wife Eunice, Granny, his sons, Big'un and Shooter, Ernestine, the mule, the Game Warden and even Bigfoot. In the foreword by Jerry Clower, Jerry says, "Haaaaaaaaw!!! 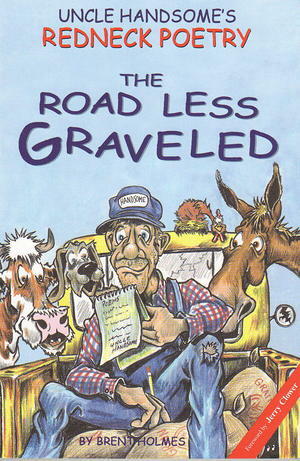 I read Uncle Handsome's redneck poetry to all my Ledbetter friends and they loved all of it. You could have no better review of this book the Ledbetters. When God turned that talent spout on Brent Holmes, he let it run awhile. This book of poetry proves it". The CD and Cassette include 51 poems performed live by the author and also includes 22 relaxation tracks.